With plants in the ground and settled in I am finally able to take plant in Loree's (Danger Garden) "my favourite plant in the garden this week". You can see Loree's selection here. There are a few plants shouting for attention but in the end I decided on one of the smallest plant in my garden orostachys fimbriata. 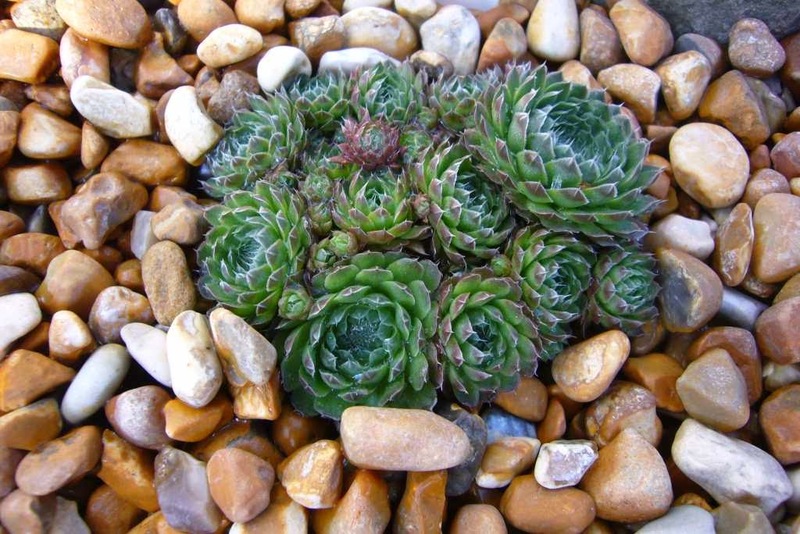 It part of the Crassulaceae family, although looks very much like a sempervivum at this stage. It forms neat little rosettes and tight clumps over time. Mine is much more compact that my orostachys spinosa, although this could be unusual. It looks very fragile in the alpine rockery, hopefully it will be hardy for me. If it carries on looking this good I'll probably end up finding a rain cover to keep the worst of the weather off. No flowers yet, which I am sort of pleased about. It is monocarpic so the flowering head will die afterwards. At the same time the flowers are what the family are known for and it seems to offset readily so the next generation will take over. I can wait a year for flower though, in the mean time I will just enjoy it hiding among the gravel. Wow yes it does look like a sempervivum! I am only familiar with the Orostachys iwarenge...thank you for increasing my awareness. The garden is just wonderful ! Thank you, it is getting there. Planting up the main succulent bank.